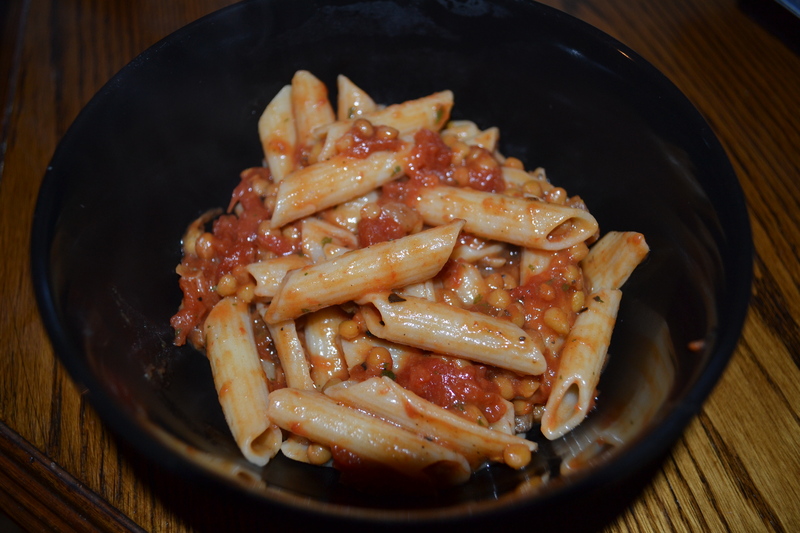 Pasta was a staple dish during my student years. It is cheap, filling and delicious. However, I usually just mixed noodles with tomato sauce from a jar in my microwave. At least I’m honest about it. 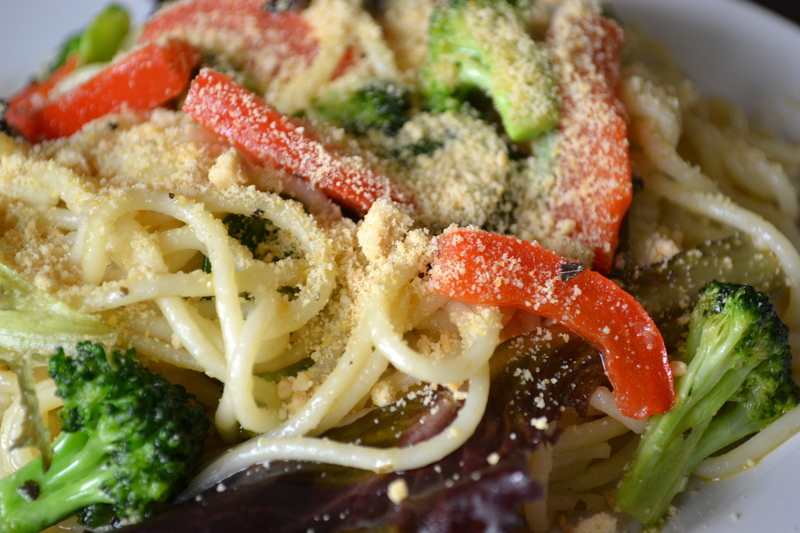 I’ve been trying to get more creative with my pasta dishes, so this recipe really hits the mark. 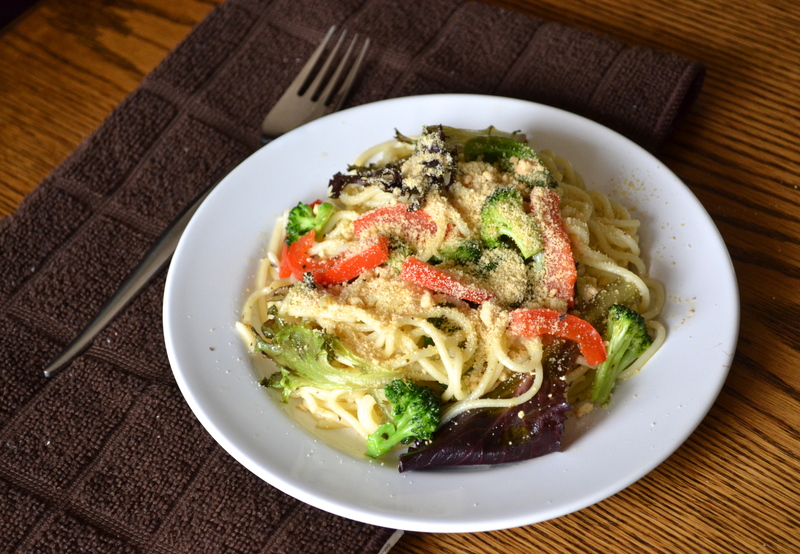 It is healthy, easy to make and delicious. A win all around! 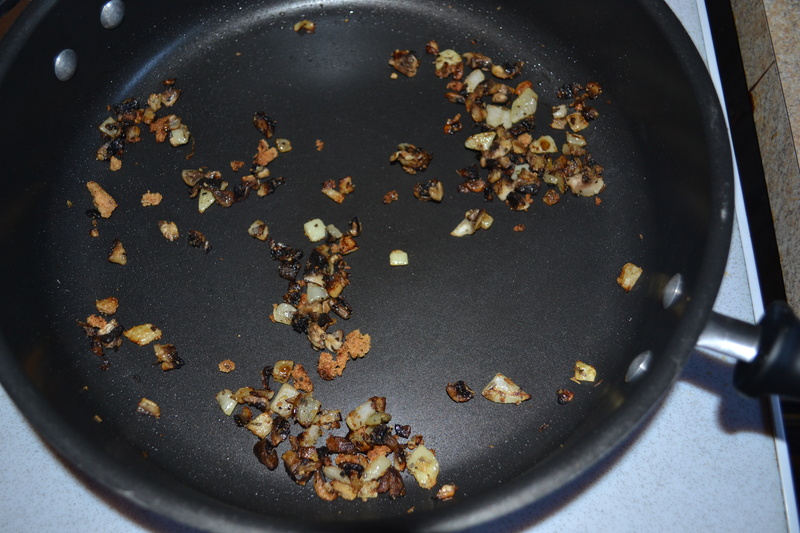 In a medium sized pan, add the onion, mushroom, olive oil and cook on medium heat until the onion begins to become tender. Then, add the garlic powder, sage, parsley, salt and pepper and stir. Add the tomatoes into the pan. 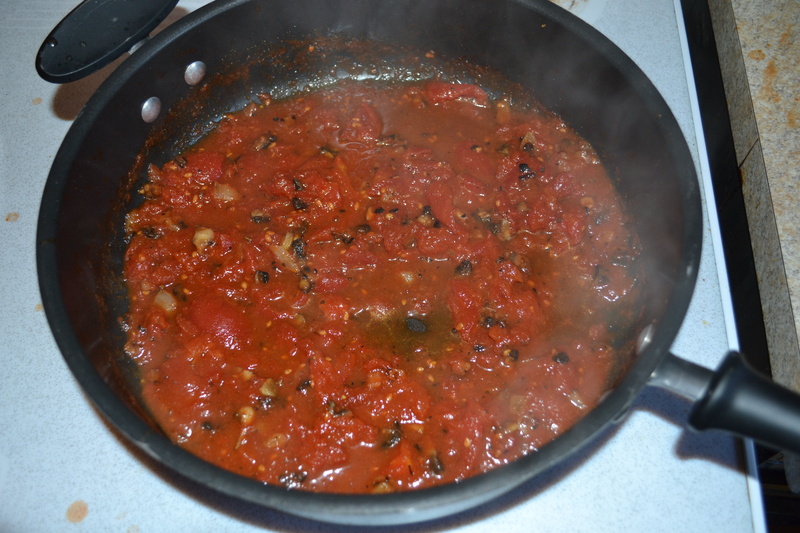 Break up the tomatoes into smaller pieces in the pan and stir, increasing the heat to bring to a boil. Once it begins to boil, reduce the heat and allow to simmer for about 10 minutes. 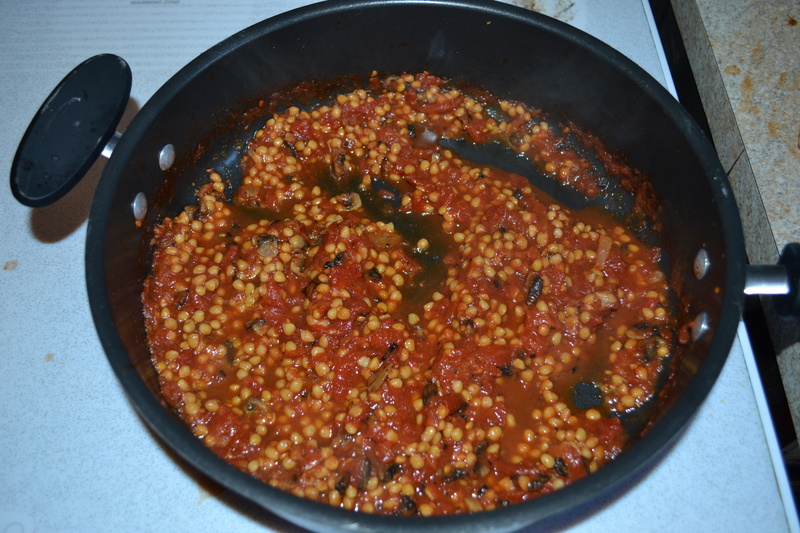 Add the lentils and mix together. Cook for another 5-7 minutes. 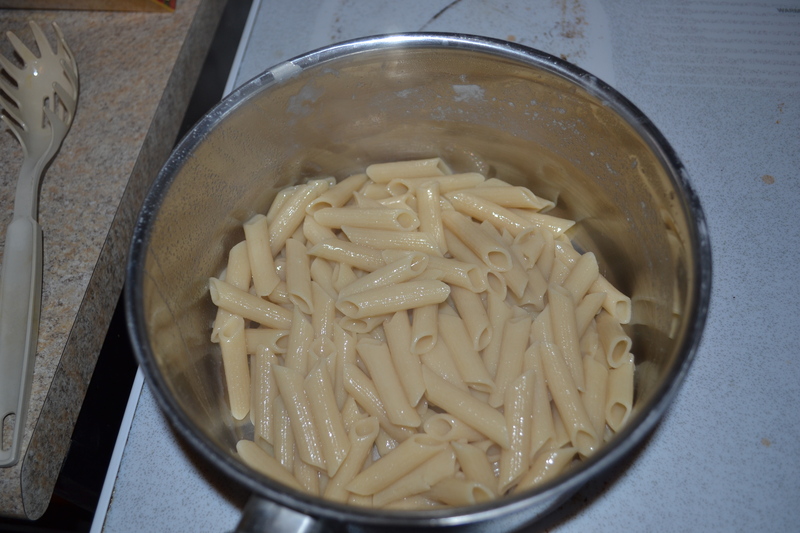 In a medium/large sized pot, cook the noodles in water with a pinch of salt. Cook on high heat for about 8-12 minutes, or until noodles are tender yet firm. When the noodles are ready, drain the noodles, but reserve 1/4 cup of the noodle water. 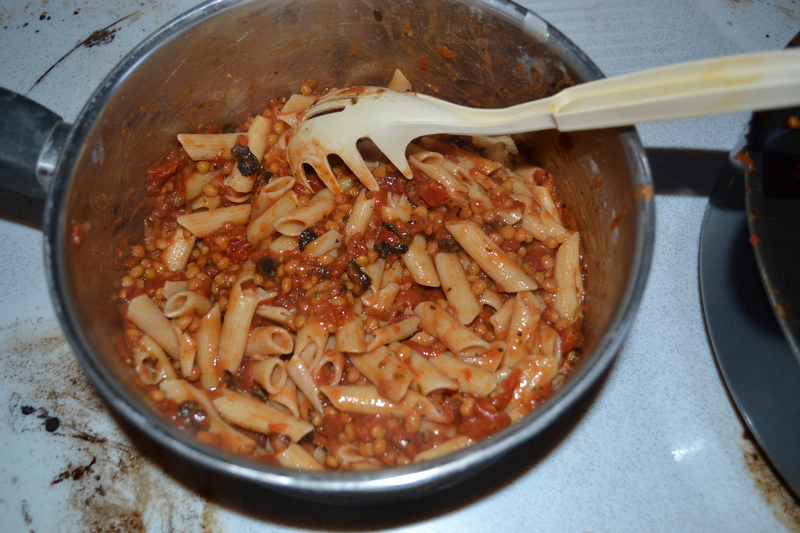 Pour the drained noodles back into the large pot and add the tomato and lentil mixture and stir. Add the reserved noodle water into the mixture and stir again. This recipes serves about 3-4, so it can be easily doubled. 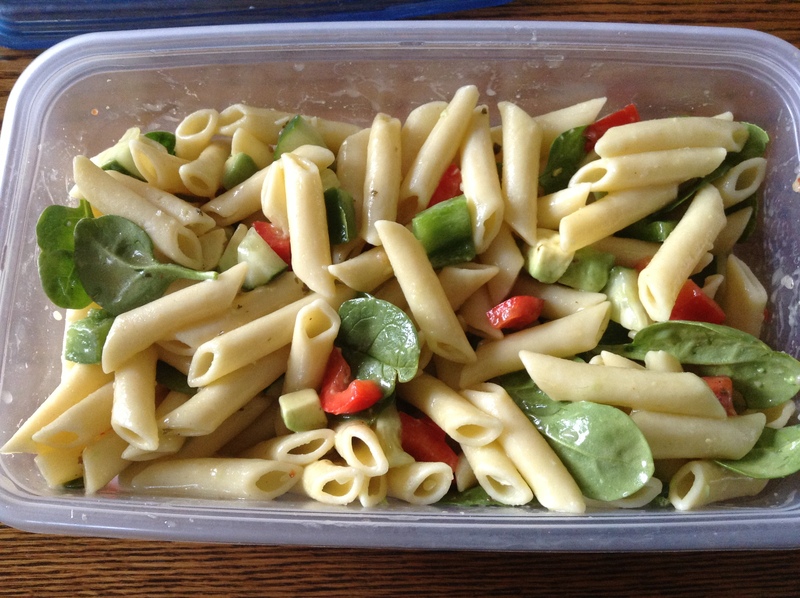 I was looking to whip up a quick and easy lunch and was craving a pasta salad. 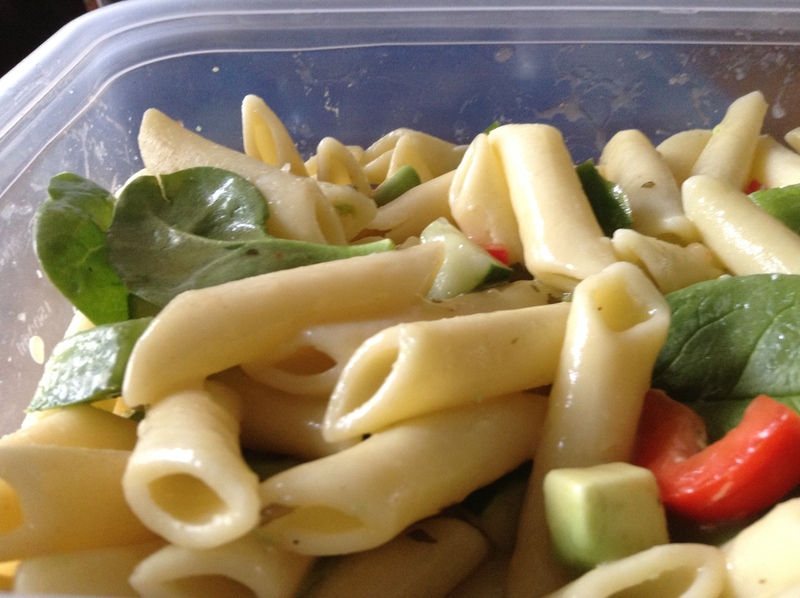 So I whipped up some pasta, added some of my favourite veggies and salad dressing and voila! A quick lunch! 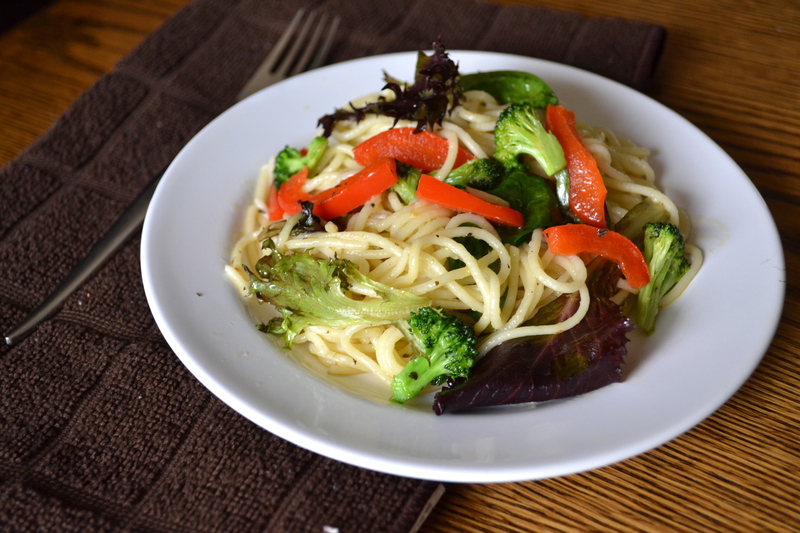 First, cook the pasta on high for about 10-15 minutes or until soft. 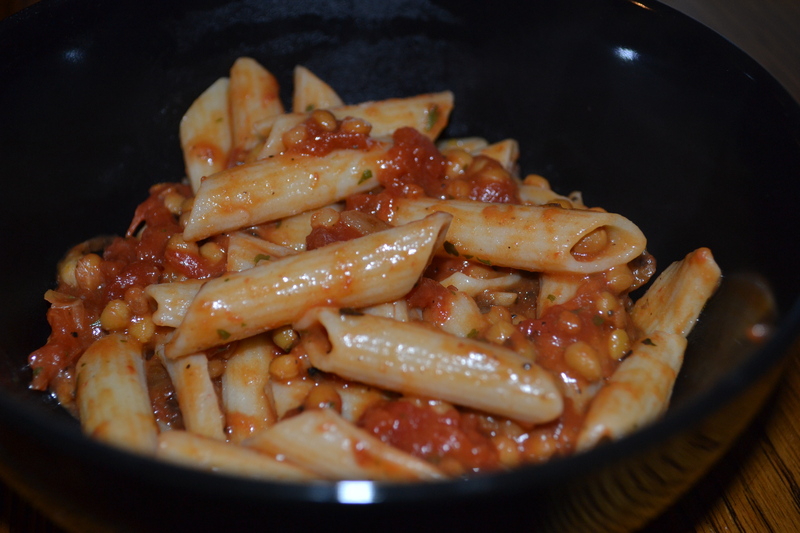 I usually add a pinch of salt to prevent the pasta from sticking to the pot. 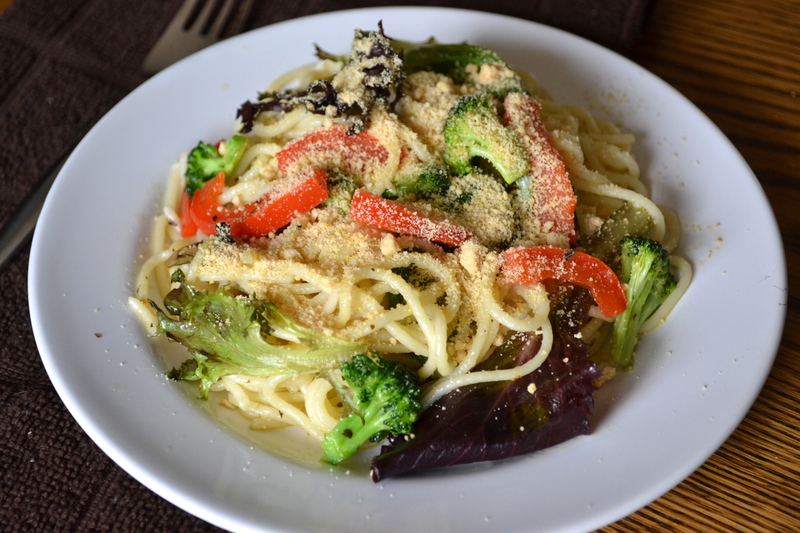 While the pasta is cooking, cut up the vegetables into small chucks. Add more or less as desired. 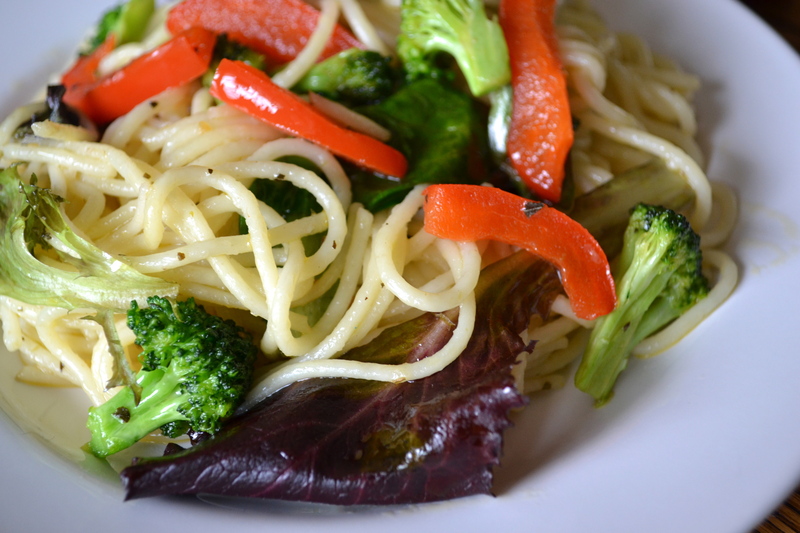 Once the pasta is done, drain it and pour into a medium-large container. Add the veggies and the dressing and stir until combined. Stick it in the fridge to chill. Give it at least 30-45 minutes in the fridge before eating to allow it to chill. It also packs in an amazing 33% Folate, 41% Vitamin C, 25% Vitamin K!